Buy Ethereum with Debit or Credit Card instantly! 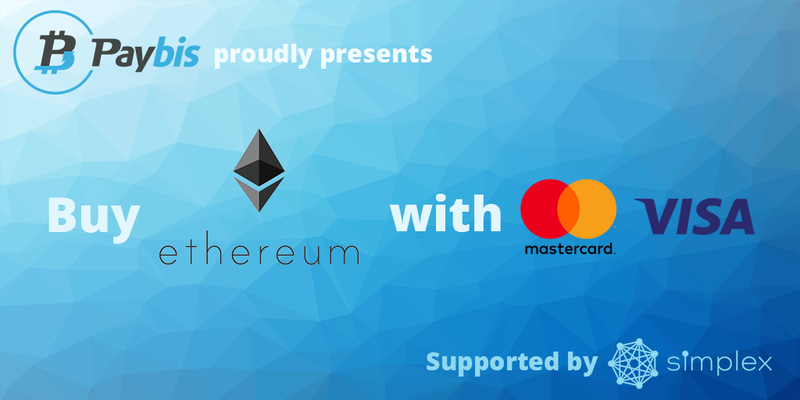 We are happy to announce that we have just added Ethereum to our list of supported cryptocurrencies. You can now buy Ethereum with debit or credit card as well as use other online currencies to make the purchase. All transactions are handled automatically. Ethereum is one of the biggest cryptocurrencies in the world, open-source, public, blockchain-based distributed computing platform and operating system featuring smart contract (scripting) functionality. - Great satisfaction rating from our customers, 9.2 out of 10 based on Trustpilot reports. So, don't hesitate and buy your Ethereum now or come and make your purchase later, you are always welcomed. Huge Discounts up to 50% for High Volume Orders - available now! Purchase your crypto with AdvCash!